Hello, cardsmiths, and welcome to my 24th contest, Where Ancients Tread! This contest is meant for everyone, new or seasoned cardsmiths alike. Where Ancients Tread cares all about big bad creatures! 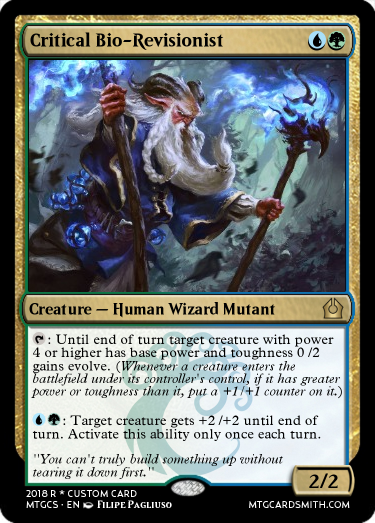 You can create any card you want but it must care about creatures with power 4 or greater in some way! 3) Credit the artist, please include the artists name. 4) Maximum of 10 entries per cardsmith. 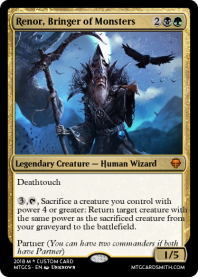 5) Creatures submitted must have power of 4 or greater. 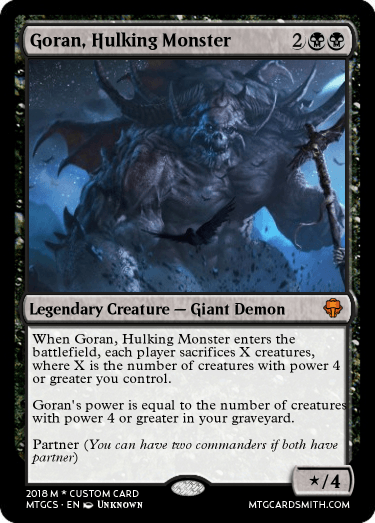 *New rule* If the creature does not have power of 4 or greater, it must CARE about creatures of power 4 or greater in some way. 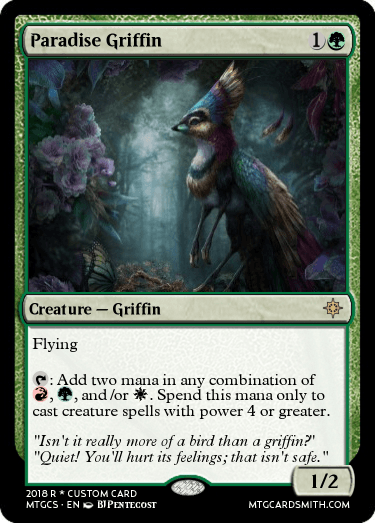 6) You may submit cards that aren't creatures as long as they care about creatures with power of 4 or greater in some way. 8) Submissions due by the end of the day on September 24th, eastern standard time, USA. 3rd place receives 3 favorites, a trophy, and their name mentioned in the hall of fame! 2nd place receives 4 favorites, a trophy, and their name mentioned in the hall of fame! A 1 month premium membership to use for their self or to give another cardsmith of their choice! @sorinjace - What are the prizes? Ah crud thanks @TenebrisNemo, I forgot to include the prizes. I'll update the rules to include them. 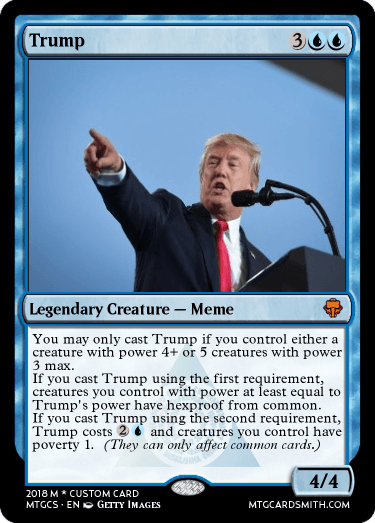 @sorinjace - Nice, I'll submit a card soon. Edit: Deleted the card because I wasn't happy with it. 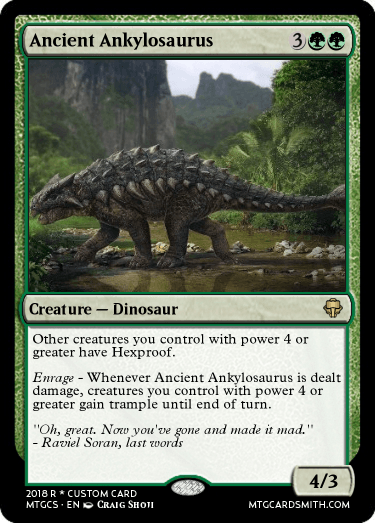 I originally had in the rules ALL creatures submitted must be of power 4 or greater themselves, but this creature makes sense AND still cares about creatures with high power. I will adjust the rules to the contest to allow creatures like this. Nice entry, @Temurzoa. Nice! I love big beasties! Here's one! 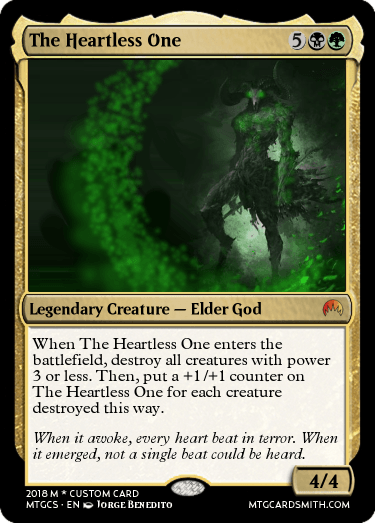 I wanted to see if I could make a Golgari-Power-Four-Or-Greater card, and I think this does the bloody trick. Plus, the phrase "Where Ancients Tread" reminded me of a very lovecraftian god aesthetic. That's a pretty scary entry @ErinsCards. Hopefully not too scary to lose a chance at victory @sorinjace! Here's my first entry. Fungi for the win! I felt like this contest just wouldn't be right without a creature with monstrosity. 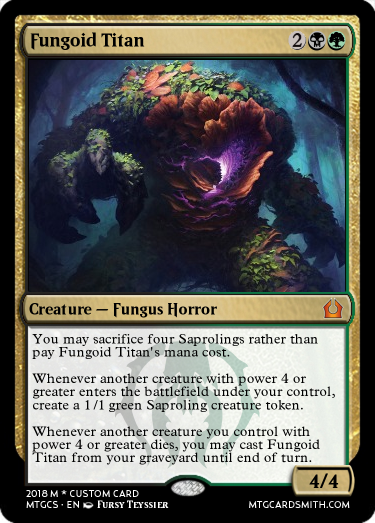 Another Golgari themed entry. 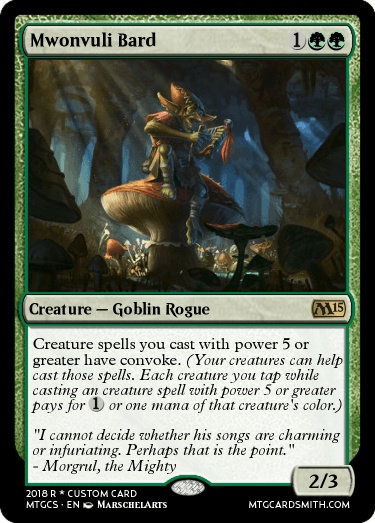 I don't know why the Golgari suddenly like creatures with power 4 or greater, but I wanted to experiment with the new Golgari mechanic. 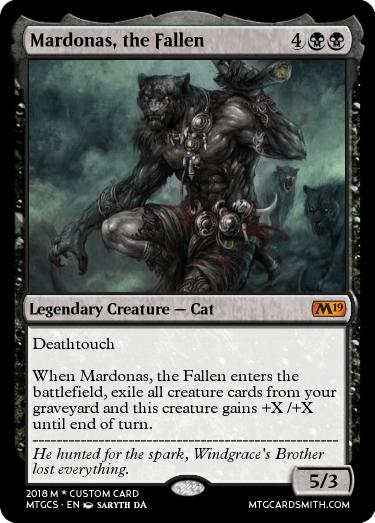 Cool as hell flavor text @Undead !! My third entry. I've always loved evolve and wanted to play around a little with the ability. Entry 4. 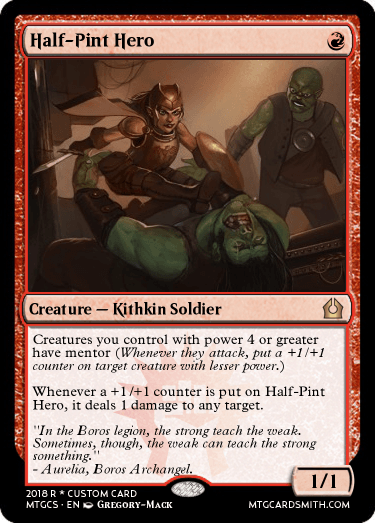 Yeah, apparently there are Kithkin on Ravnica now. 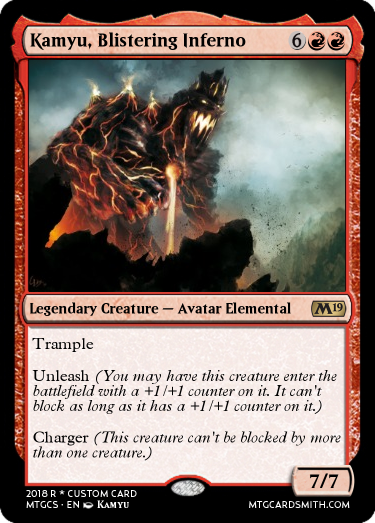 I just needed a creature type to fit the art and concept. I just made my 1st contest i'd like if at least a couple people check it out.